Two of our Paynter Family Dentistry team members, Nancy and Wendi, visited the Preschool and Kindergarten classes at Mt. Hood Christian Pre and Primary School on October 24, 2011. 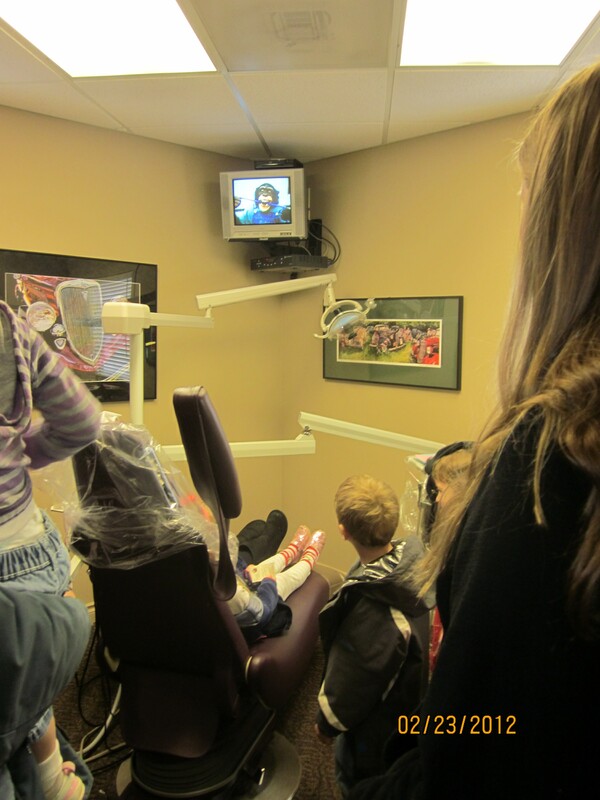 The students were given on-site instruction of the correct brushing technique and learned the importance of brushing two to three times a day. Students were also instructed on healthy foods and snacks; examples were distributed and enjoyed by all. Each child also received a Paynter Family Dentistry bag filled with toothpaste and a toothbrush at the end of the presentation. We would like to thank Mt. Hood Christian Pre and Primary School along with all the teachers - Mrs. Hatton, Mrs. Ford, Mrs. Strong, Mrs. Brandolf, Miss Stephanie, Mrs. Gaidos, Mrs. Serino, Mrs. Tercek, Mrs. Bowen, and Miss Sandra - for allowing us this opportunity to share with their students. 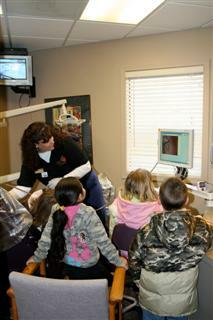 Two local first grade classes once again toured Paynter Family Dentistry as part of celebrating Dental Health Month. They delighted in the "Kirby" video as the chimp demonstrated personal dental care. All the staff got into the act, providing the 50 children with a memorable experience. Each student were so excited when they went home with a pouch filled with individual homecare items as well as a class exercise tool for the teachers. The Teddy Bear Parade takes place throughout the streets of downtown Gresham every September. 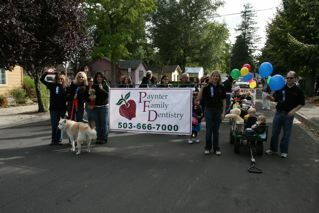 Paynter Family Dentistry was there with their extended family, favorite teddy bears in hand, to take part in this popular community event! 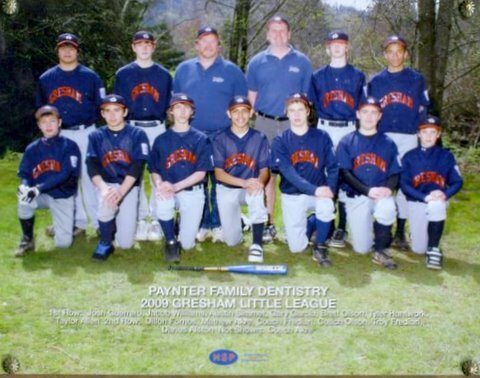 2009 Gresham Little League teams, sponsored by Paynter Family Dentistry, have a winning season! Congratulations to both the girls and the boys Junior Allstar teams. When Lt. Jeffrey Flores, executive officer of the local National Guard's 41st Infantry, approached Drs. Mitch and Julie Paynter for the completion of his troop's dentistry in preparation for deployment in March, he was following a recommendation from a comrade who raved about his positive dental experience in their practice. 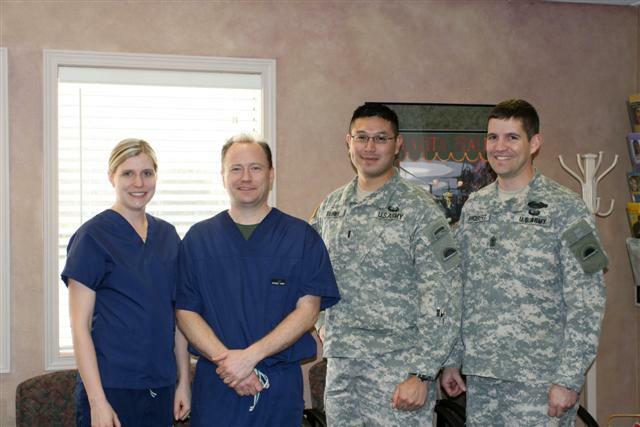 Little did he know that both of these doctors had background in the military and that Dr. Mitch Paynter is still active in the USAF Reserves, performing dentistry at McChord AFB one weekend a month. First Sgt Scott Shobert stated the importance of the right fit when preparing soldiers for deployment. It was a natural "match" for all concerned, supported by the familiarity of military protocol and expectations. Through the process of addressing each member's various dental needs, relationships were established, getting to know each of the over dozen soldiers. Even though they journeyed from all over the area and from all backgrounds, the one thing that came through is their love of country. 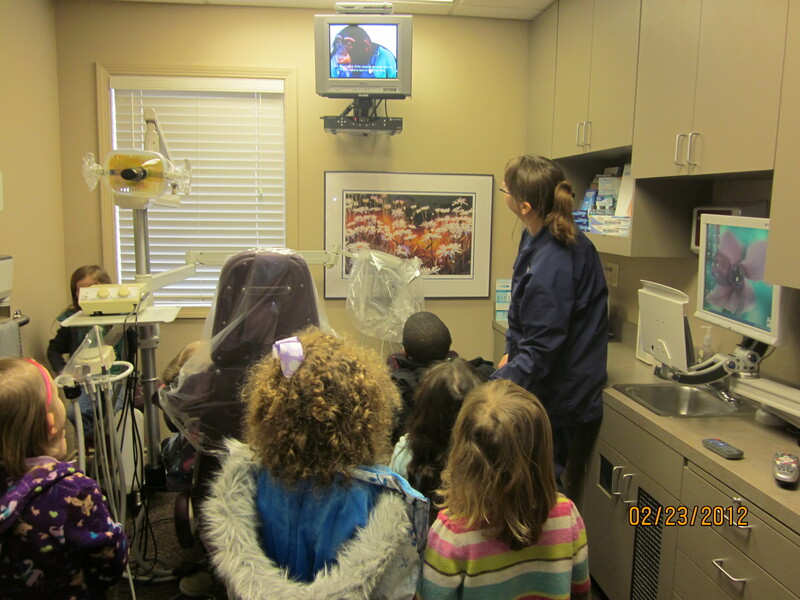 The first grade class of Mrs. Julie Frediani at West Gresham Grade School took time out of their busy schedule to tour Paynter Family Dentistry and learn first hand about dental helth. The students had an opportunity to learn dental health basics, peek into the "behind the scenes" as well as receive personalized dental tools to take home with them. 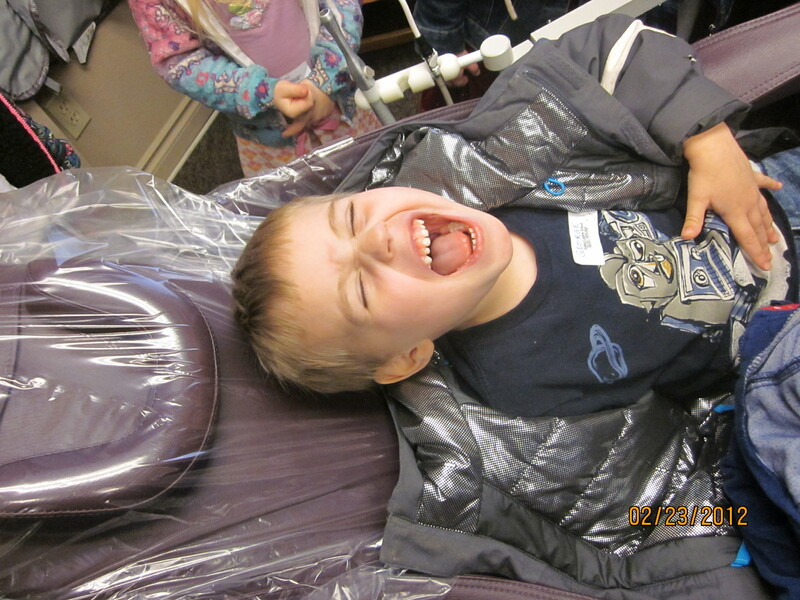 They delighted in riding the treatment chairs "up and down" and having their many questions answered.